All the clubs from Europe can qualify for the Champions League, but like the World Cup only 32 teams make it. Teams that don’t make it to the Champions League play in the Europa League, the lower division of European soccer. However, teams that are in the Europa are considered good because most clubs don’t play continentally, just domestically. To qualify for the Champions League, teams go through a mini tournament in which the top 4 clubs in each European league are qualified. 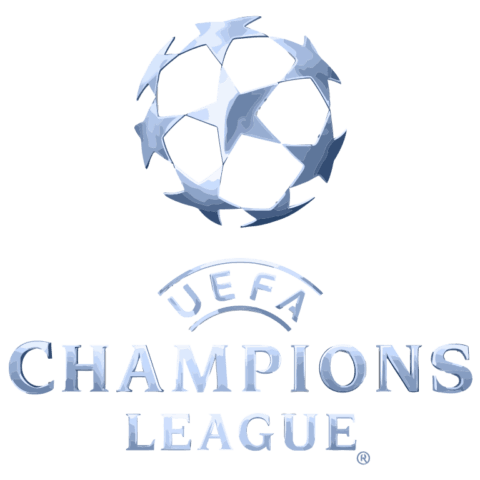 Winners of the matches get into the Champions League and continue playing in real competitions, while the teams that fail to qualify play in the Europa League. For most leagues, action is coming to an end, and results are starting to come in. For example, most teams in the Premier League, the top tier soccer league in the United Kingdom, have 2 games remaining to play. In the Champions League, there are now 4 teams left: Monaco, Real Madrid, Atletico Madrid, and Juventus. Monaco are playing Juventus and the other two teams face each other Monaco, the underdogs, have beaten some top level teams to get to this stage, so some fans will be expecting them to come out on top. They are also surprisingly first in the French League, Ligue 1, after climbing on top of PSG, who have been the champions of that league for the last 5 years. Juventus, the dominant Italian side, will be hoping to continue their form after defeating fan favorites, Barcelona, who have the best attack in the world. Juventus have a 2-0 lead after playing the first game last week. The second game will be today, 5/9/17. Real Madrid, the Spanish giants, face off their local rivals, Athletico Madrid in this semifinal match. Real Madrid has mostly come out on top of Athletico Madrid in every competition. For example, the final of last year’s Champions League had this featured match where Real Madrid won 5-3 on penalties after the game was still tied 1-1 after extra time. This Madrid derby will be highly anticipated and will certainly be decisive. Real have a 3-0 over Althetico after the first game, but Athletico will have home field advantage in the second game. The game will take place tomorrow 5/10/17 at 2:45 P.M. ET. Although neither team have won a domestic trophy in 4-5 years, this is only because Barcelona is dominant in Spain. UEFA Champions League Action by Jay is licensed under a Creative Commons Attribution-ShareAlike 4.0 International License. Soccer is also one of my by far favorite sports and watching these UEFA games are such a great experience if your a player yourself because it helps you see how players play and that way you can see what you need to better in and what you have improved and how you can adapt to their playstyle. This is a very great article. I am excited about your post, “UEFA Champions League Action,” because I’m a fan of the Champions league, specifically, I’m a Barcelona fan. I was disappointed when they got eliminated, but now, 2018, I’m confident we’ll win. One sentence you wrote that stands out to me is: “Juventus, the dominant Italian side, will be hoping to continue their form after defeating fan favorites, Barcelona, who have the best attack in the world. ” I think this was true at some, but not no more because recently, Neymar moved to PSG for over $200m. Neymar was part of that attack, MSN, which stands for Messi, Suarez, and Neymar, the best soccer trio of this era. Another sentence that I read was: “Although neither team have won a domestic trophy in 4-5 years, this is only because Barcelona is dominant in Spain.” This stood out to me because it makes me wonder why couldn’t Barcelona take the Champions League trophy home. I’ll bet anything; if Barcelona played like they are doing this season, they would’ve won, easily. Your post reminds me of something that happened to me. One time I was watching a world cup game between Mexico and Netherlands. It was an important game whoever lost, would get eliminated and sadly, Mexico got eliminated. In my opinion, the penalty that got Mexico eliminated was unfair because the player that got “fouled”, clearly flopped. Even though my hate for the team that eliminated Barcelona wasn’t as strong as the hate I had for the player that got the penalty, Barcelona getting eliminated reminded me of that Mexico game. Thanks for your writing. I look forward to seeing what you write next because I liked how your post could explain to someone that doesn’t know anything about the Champions League. I also liked how your post had some of the game dates that were going to start, during the time you published this. Soccer is a great sport definitely one of the most popular. I agree with you that Barcelona is the most dominant winning side in Spain. It is getting boring how many leagues and cups are about to end as the UEFA cup has now proceeded to the finals, past the knockout stage.